Strawberry quartz is said to amplify intentions of love, gratitude and generosity and can be soothing and calming in a fast paced environment. It is commonly used to balance the heart chakra. It resonates especially well with the astrological sign of Libra. Strawberry quartz can also help you balance your emotions, think positively and grow spiritually, and to transcend and get clarity in your spiritual life. 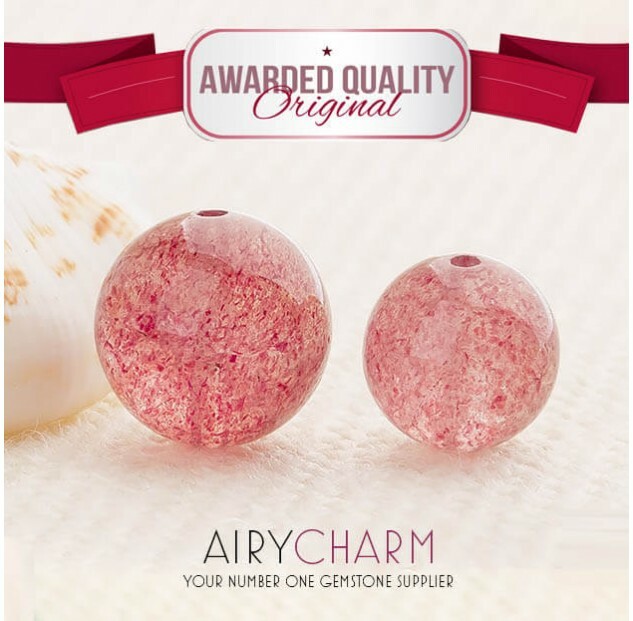 It is best if you wear your strawberry quartz jewelry higher up on the body. That way, it will be even more connected do your heart chakra and have a greater influence. 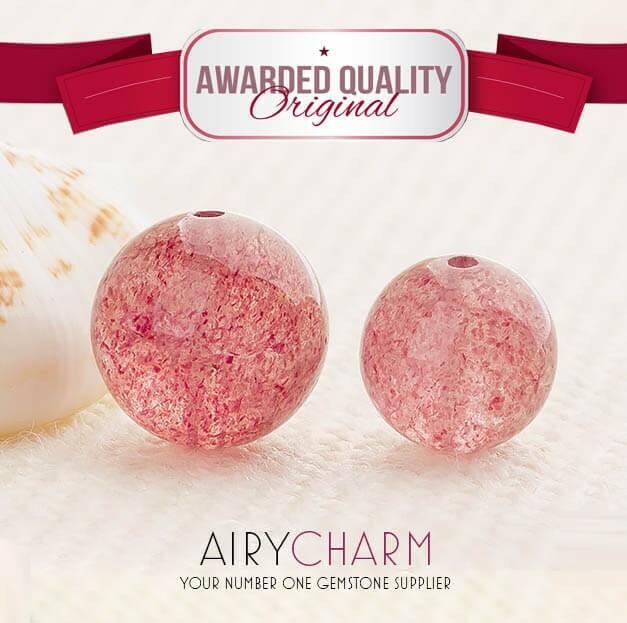 Wearing a strawberry quartz can also help attract love and relationships in your life, not only romantic relationships, but friendships and relationships with your family. The main reason for that is that strawberry quartz balances your heart chakra, and when your heart chakra is balanced, you are more open to receiving and giving love. If your heart chakra is not balanced, a lot of tension and negative energy can arise, especially towards your loved ones and it is much harder for someone new to come in your life since you’re focused on the chaos that was created by a chakra that’s out of balance. 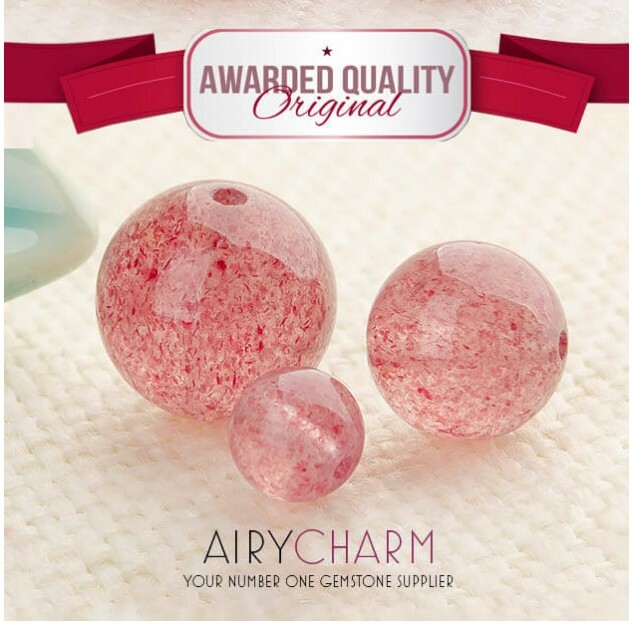 Strawberry quartz also gives clarity in love, and that’s very important for all kinds of relationships. If you’re scattered and unclear about everything, it will be very hard to maintain good, healthy relationships with people. Clarity gives you wisdom to understand people and situations better and do the right things. So wearing some kind of strawberry quartz jewelry can definitely have a great impact on your life. And of course, it is a beautiful accessory with its stunning, vibrant color.